“So I had a biscuit with bacon jam on it.” I pause to see my husband’s reaction, but his face fell. “Oh my god, it is. They get it from a place called Morsel.” In that moment I saw nothing but love and admiration in his eyes for finding the source of the bacon jam. Bacon jam? Oh, yes. Every so often I come across food that turns me into an evangelist wanting to share my find with the world. The bacon jam from Morsel sent me on that mission. So let me back up for a second before I get to the food. 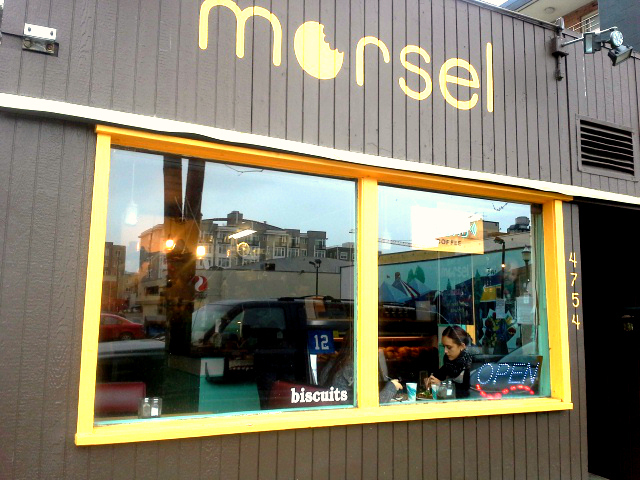 Morsel is a tiny place located in the U District. Let me stress that it is tiny. There were two booths, two tables, and four chairs along a bar, and a bench. 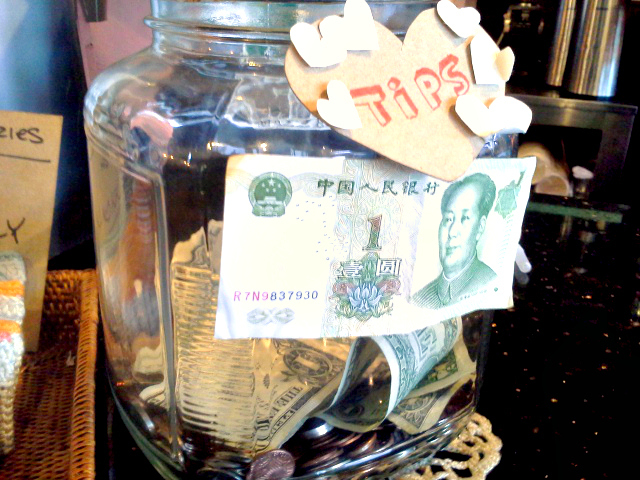 Picking up food from the bar can regular some dancing skills trying to maneuver around people. The atmosphere is amazing. The baristas a fabulous, friendly, and the kind of people you would want to sit and a coffee with if they weren’t working. Now for the most important part: the food. Morsel is about the biscuits. They are cooked to perfection and usually there are a few different ones to choose from with a variety of toppings like jam, bacon jam, or gravy. 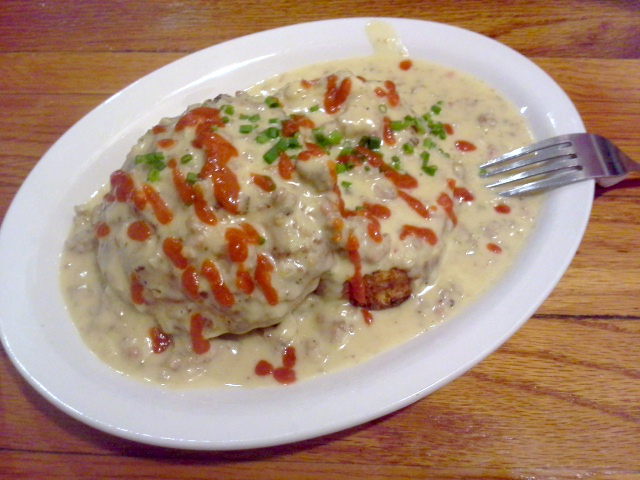 My husband R went went with the cheddar chive biscuit with sausage gravy (they also had mushroom gravy) and it was on point. It is perfect to drown your feelings in or to seek out if you are missing your family’s home cooking. It’s the kind of gravy that you don’t mind spending a hour at the gym just to make a dent in the calories you ate. I will confess that I did lick the plate when he was done. No one batted an eye. Everyone was doing the same. The menu is really small mostly focusing on the biscuits, but there are a couple of Sammies on the list. All over yelp I kept seeing the Spanish Fly and when the girl behind the counter said it was her favorite I had to get it. 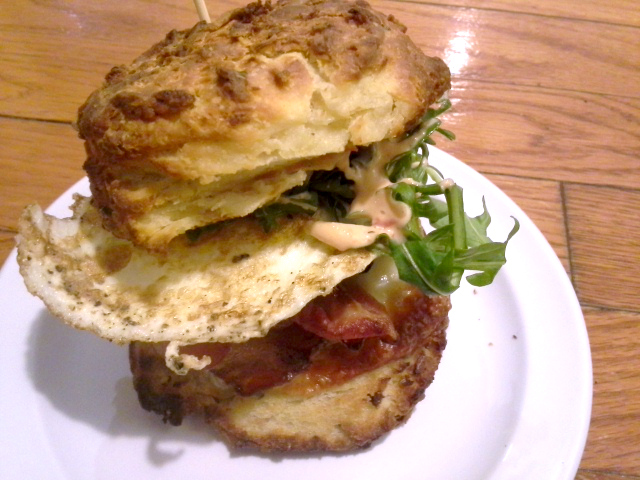 Let me just break it down a garlic biscuit with aoli, bacon, egg, cheese, and arugula. It should really have a song written about it or a poem at the least. It’s amazing. Single tear rolling down my cheek while a dramatic song plays in the background amazing. My daughter, Bear went with went with a buttermilk biscuit with chocolate hazelnut spread. Think a fresher version of Nutella. 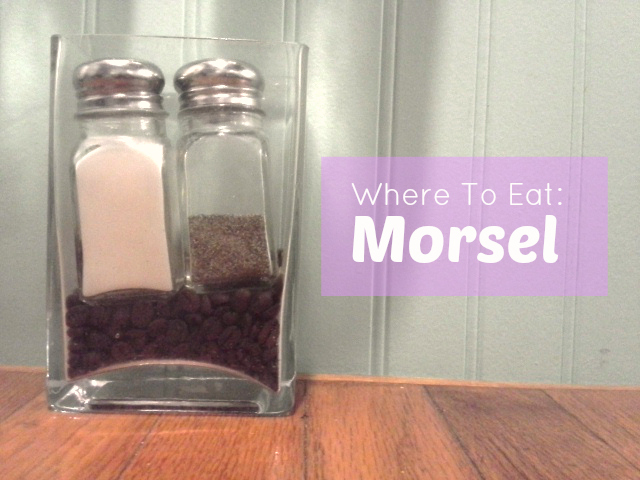 The one thing about Morsel is that it is completely kid friendly. If you have a very picky eater you wont find a ton of things on their menu but they do have kid friendly favorites like jam (minus the bacon). There are no high chairs, but the staff was great and helped my daughter pick her food and offered up suggestions for her. 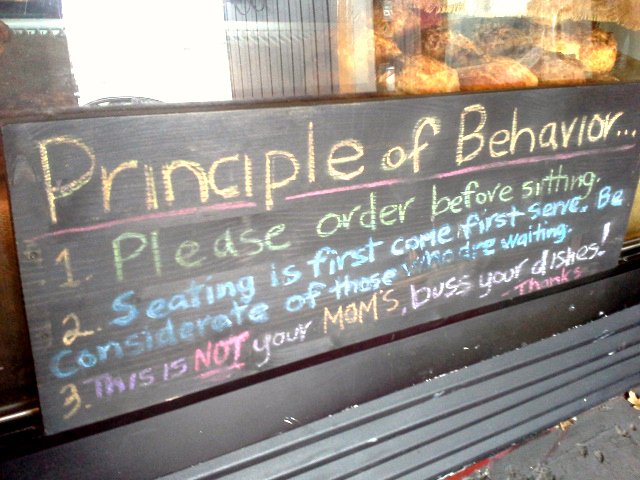 If there is a long wait for a table I would suggest talking your order to go but if you have a child that can sit on their own orders come up pretty quickly which is always a plus. Oh and the bacon jam, we went home with an 8oz jar of it. Oh yes, very different. Biscuits in the U.S. are more of a bread. They taste great with jam, butter, and honey, but my favorite is gravy by far.